My dad’s 63rd birthday was the other day! Holy guacamole…63! He acts like he’s 50 still, boating on the Columbia everyday, taking his girlfriend out dancing, and throwin’ BBQ’s on his 45 foot Chris-Craft! Yep, that’s my dad, always young at heart. Funny thing is, his favorite food is Mexican, but he’s a 6 foot German guy…I still think there may be some Spanish bloodlines in him somewhere…haha! 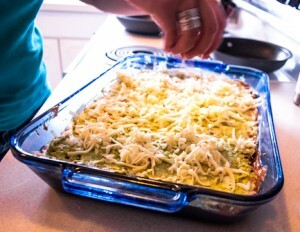 His girlfriend, the sweet little 5 foot blonde she is, threw him a small birthday BBQ on his boat, so I contemplated baking the usual chocolate birthday cake or bringing something different….hmmm…..back to his favorite food (mexican), my sweetie suggested seven layer dip! 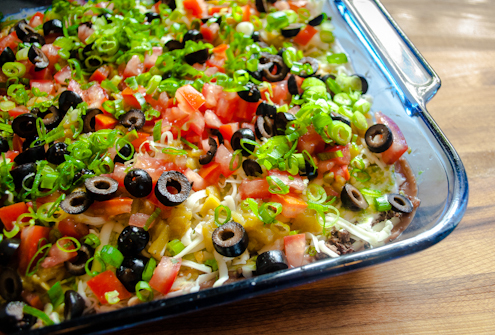 Seven layer dip, oh so yummy and totally easy to put together and haul off to a BBQ. No reheating needed, no hurry up and get there before it cools off type of thing…just put together, grab the chips on the way out, and out the door to the BBQ. And for the boat, this was an easy dish to bring along. Who doesn’t like chips and dip? All the flavors in this remind me of a ginormous taco in a bowl! Serve with a margarita (or three), and everyone is satisfied! 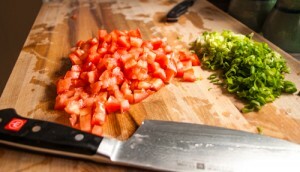 Chop, slice, dice and assemble…too easy! 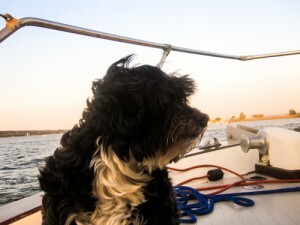 The weather was perfect on the Columbia, not scorching hot…we rarely get those days here, but a warm 8o. 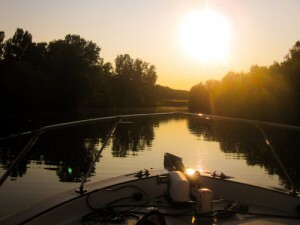 I grew up around and on boats, my dad is in the business, so water and boats are like my second home. I’ve watched many 4th of July’s on the river, and at Christmas time, they have all the boats decorated with lights and for 12 days, it’s Christmas on the water. 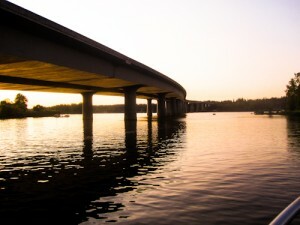 Our winters are pretty mild here, so boating is a big part of life in the NW. There is nothing in comparison to having the waves rock you to sleep on a boat…the sound of the water gently hitting the boat, it’s peaceful and calming. If you ever get the chance to stay on a boat, you’ll sleep like a baby!! 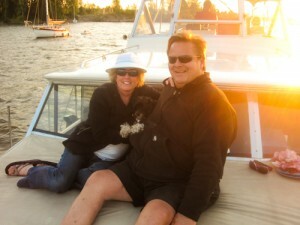 Dad and Darlene with Bobby Sox, the boating dog! Bobby socks manning the winch, ARrr!!!! 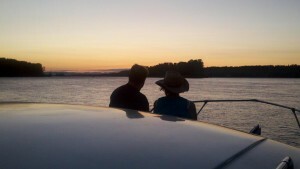 Sunset on the Columbia, a great way to end dad’s 63rd birthday party! A kicked up dip for the party or BBQ, don’t forget the chips! Sautee meat with seasonings until done and no longer pink.